The slender, full length action of the Gene Larew Long John Minnow makes it a smallmouth delicacy. 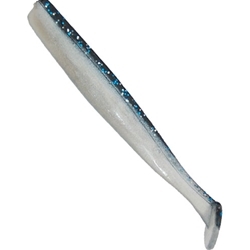 The Long John Minnow is very popular amoung bass anglers everywhere! This bait can be fished by itself and works perfect for the schooling effect on an Umbrella Rig.